Do you have a logo that you think will act as a brand for your business? Are you perhaps confusing the idea of “Brand” with “Logo”? In truth, they are different things that have a different yet related purpose for your business. A logo acts as a visual signature for your business, but in itself, does not launch a thousand ships. A brand story is just what is says: A “Once upon a time” for your business that is more than an “About Us” on your website. The intimate knowledge of your products or services and how they relate to your perfect customer is where it all begins. a. 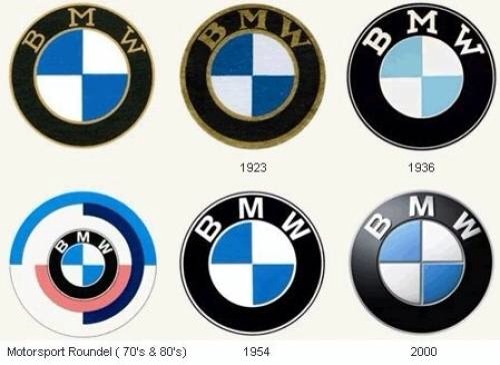 Name of the Company – Presented in a Direct and Clear Statement of fact and we all know that the BMW logo itself has already been imbued with a sense of luxury by its simple yet chic design. b. Description of its Luxury and Craftsmanship that is “at the top” or “Ultimate” and one of a kind, luxurious, well crafted, and perfectly engineered. c. Designation of the product, a “Car” for driving but there is more than that, as this is not just a car, its an experience. d. “Driving Machine” makes the connection to a finely tuned watch or other high end technology that is handcrafted and works like a well oiled machine that keeps on going no matter what. Already we have a story, in this brand “positioning” statement that can be built out from there. a. What kinds of engineers make the engine work? (Highly trained engineers make this engine work and the factories are part of this picture). c. What kinds of service will be available to the customer – “Ultimate” luxury and service are offered with each and every purchase of a car to maintain the integrity of the engine and its service to the owners. BMW won’t leave you behind after you drive it off the lot, they guarantee it. Well, you get the idea. A logo, is not a brand; its just a signpost to welcome your customers into the door of your business; there is always more. There has to be a story to engage and interest your clients and to give purpose and meaning to the logo. Even if you have a small business, the meaning of your logo and brand story must be integrated into an entire experience for your customers. What is that entire experience? It starts with your services, your objective and overall ‘super story ‘for the entire enterprise that touches every aspect of your business. There are places where your story will connect with your customers in unique and specific ways. Dont’ get stuck at the “Logo” Stage, breath more into your business story by starting with “Once upon a time” and “they lived happily ever after” in the land of your business. So go ahead, imagine what this magical land is like….who will go there…what will they discover? Is it a lifestyle, an experience, a convenience, an atmosphere or a magic forest? That’s what you must decide and from there, you will discover the heart, soul and meaning of your business and so will your customers.